I represent personal injury clients who have been injured on Washington state roads, either as a driver or a passenger in a serious motor vehicle accident resulting in personal injuries. With the ever-growing- population in the greater Seattle area, the roads are becoming more and more congested with traffic, and unfortunately, this means that there are even more inattentive drivers on the road. This results in frequent serious car accidents on our roadways. If you or a family member has been involved in a car accident in the greater Seattle area due to the fault or wrongdoing of another, then contact me to schedule a free initial consultation and case evaluation with an experienced Seattle car accident attorney. 3 Pierce, King and Snohomish County Car Accident Representation. What To Do If You Are in a Car Accident. By definition, car accidents happen unexpectedly, and usually with little warning or opportunity to react. In the immediate aftermath of a collision, you will likely be dazed, confused and in shock. There are a few things you will want to remember at times like this and I have prepared these materials with the hope of providing some helpful tips and considerations for those involved in serious car accidents in Washington. The most important concern is the safety and health of everyone involved. This should be your first concern. Focus on the medical needs and the safety of yourself and any of your passengers before you worry about any other issues. Once you have addressed any immediate medical issues, there are also some practical steps that you should consider. Taking these steps at the scene of the accident, will help ensure that you are best prepared to successfully deal with the challenges that you may face in the days to follow. For an experienced Seattle personal injury attorney who can help you through this process, contact me for a free consultation and initial case evaluation. BE CAREFUL – you will likely be in a state of shock. Make sure you take precautions for your safety and health, and for the safety and health of any of your passengers, at all times. CHECK FOR INJURIES AND VERIFY SAFETY OF OTHERS - Take stock of the situation in your car. Are you seriously injured? Are any of your passengers seriously injured? Once your car comes to rest, determine whether you are in any additional danger due to the location or condition of your car. Address your urgent medical and safety issues and those of your passengers. If it is safe to do so, exit your car and verify whether the drivers and occupants of other vehicles involved are seriously injured. If anyone is seriously injured, provide care if appropriate and call 911. CALL POLICE – Call 911 and tell the police you have been involved in an accident. TAKE PRECAUTIONS – Place flares, warning signs, or have someone direct traffic away from the scene if possible to avoid additional injuries. LOOK FOR AND TALK TO WITNESSES – Determine if there were any witnesses who saw the accident. It is important to do this right away as people will generally leave the scene of an accident within seconds or minutes. If you find any witnesses, get their contact information. DO NOT ACKNOWLEDGE LIABILITY OR FAULT – Do not admit liability or fault for the accident. At accident scenes, people are often in a state of shock and confused and may not fully understand what just happened to them. Be polite and considerate, but do not tell anyone the accident was your fault. PHOTOGRAPH VEHICLES BEFORE MOVING THEM – It may be necessary and appropriate to move the vehicles off the roadway so as not to impede traffic or cause a safety hazard. If possible, photograph the cars in the position they came to rest after the collision (and before they are moved). Keep a disposable camera in your glove box for this purpose or use the camera on your cell phone if you have one. PHOTOGRAPH DAMAGE TO VEHICLES – Take photographs of the damage to all of the vehicles involved. Take pictures from all sides of the vehicles to make sure you capture any visible damages. PHOTOGRAPH SCENE, SKID MARKS, DAMAGE TO CURBS, RAILINGS, ETC. – Photograph the scene from multiple angles and also photograph all skid marks, if any. If appropriate and safe to do so, photograph the approach to the scene from all angles. Also photograph curbs, railings, utility poles or other objects that may have been damaged in the collision. OBTAIN INFORMATION FROM DRIVERS AND PASSENGERS – Obtain information from all drivers and passengers of all other vehicles involved (name, address, telephone numbers, insurance policy number and telephone number, driver’s license number, and license plate number). INFORMATION FROM POLICE – Get the name, badge number, and report number from the police officer in charge at the scene. SKETCH THE SCENE – If you have time and access to pen and paper, make a drawing that represents the scene of the crash. Use arrows and other marks to indicate the direction of vehicles. CONTACT YOUR INSURANCE COMPANY – Let them know that you have been involved in an accident. Provide them with accurate and detailed information so they can properly process your claim. The Days and Weeks Following the Car Accident. After you have dealt with the immediate aftermath of the car accident and any urgent medical issues, you will need to assess the situation and take appropriate steps to protect your interests and your rights. If you have been seriously injured, you will require medical treatment for a potentially extended period of time. You will also need to sort our how you are going to go about getting your medical bills paid and what to do about any loss of income or time off work. You will need to take the time to find the right doctor or specialist to treat your injuries. Your family doctor or general practitioner may be able to help you, but if your injuries are significant or you have a prolonged recovery, you should consider seeking a referral to a specialist to ensure that you receive the best possible care to maximize your recovery. For a Seattle personal injury attorney who can help you through this process, contact me for a free initial consultation and case evaluation. During this time period, it is important for you to assess and document any losses or expenses you may incur as a result of the car accident. Save all receipts for any medical expense, pharmacy costs, home healthcare, or any other expenses you incur. Even for modest accidents involving modest injuries, the resulting paperwork, contact with insurance companies, and medical issues can be complicated and daunting. I can help. If you have suffered a significant injury, contact me, your Seattle car accident attorney to receive a free initial consultation and evaluation. If you decide to retain my services, I can provide advice on how to ensure that your rights are protected and that the insurance companies don’t take advantage of you. You may find that your injuries prevent you from being able to return to work for days, weeks or even months. Depending on the terms of your insurance policy, you may be able to make a claim for lost wages or lost income. It is important to keep your employer informed of your situation and to consult with your healthcare providers as to when it is safe for you to return to work. You will need to make arrangements with your employer if you anticipate being off work for an extended period of time. In addition, most insurance companies will require that a physician authorize the time loss before they will consider compensating you. It is therefore imperative that your physician approve and authorize any time off work. For a Seattle personal injury attorney who can help you through this process, contact me for a free consultation and initial case evaluation. Some Basics on Automobile Insurance in Washington. You will be dealing with your insurance company and the insurance company of the at-fault driver(s) regarding your claim. One thing to keep in mind: insurance is based on a contract. Your rights with your insurance company are largely governed by the terms of your policy of insurance, including what types of issues are covered and the dollar amount of your coverage. These rights are supplemented by certain laws and regulations in Washington that govern insurance companies. I can assist you in dealing with these laws to ensure that your insurance company treats you fairly and does not exercise bad faith. Here is a resource with detailed information regarding car insurance: Car Insurance Coverage Definitions. this is the coverage of the at-fault party that will pay for any medical expenses and injuries caused by the at-fault party. Payments under this coverage are typically paid in a lump sum as part of a settlement after you have concluded treatment. this is the coverage of the at-fault party that will pay for your property damage caused by the accident. this is coverage under your own policy (and in some cases coverage provided by the driver of your vehicle if you are a passenger). PIP is “no fault” insurance that pays for medical expenses and wage loss, up to policy limits, for losses relating to the accident. In Washington, this coverage is mandatory unless you have expressly waived it. this is coverage under your own policy (and in some cases coverage provided by the driver of your vehicle if you are a passenger). This covers losses where the at-fault party has no insurance, insufficient insurance or in cases of “phantom vehicles”, such as hit-and-run accidents. Working your way through the maze of insurance issues can be daunting and, at times, overwhelming. Let me help you. Especially in cases involving complex or severe injuries, and/or involving multiple cars and potential insurance carriers, it is important that you take appropriate steps in a timely fashion to protect your rights and potential claims. For an experienced Seattle car accident attorney who can help you through this process, contact me for a free consultation and initial case evaluation. Injuries from a Car Accident. Cars and trucks are primarily made of steel and other metals. Modern cars and trucks are designed to “absorb” impact in a collision to help protect the safety of occupants by incorporating crumple zones, airbags and other safety features. In even the safest cars and trucks, however, people get hurt, even in modest car accidents. Cars and truck weigh thousands of pounds. When an accident occurs between two or more vehicles, the forces involved can be tremendous, as these large heavy metal objects, often moving at high rates of speed, collide. The forces are sufficiently violent to bend and crush high tensile steel. It is easy to see how a human being, made of flesh and bone, can be injured in even a modest accident. In many serious accidents, initial injuries are readily apparent: bleeding, pain, broken bones and other obvious injuries. Immediately after a collision, however, it is common that a person will not notice any significant pain or symptoms even though a serious injury has been sustained. You will likely be in shock and your adrenaline will be pumping through your system. It may be that you won’t begin to experience significant pain for several hours, or even days, and may then experience increasing soreness and pain. We have all heard of so-called “whiplash” injuries at one point or another (often referred to by the medical profession as myofascial or sprain/strain injuries). Insurance adjusters like to refer to these types of injuries as “soft tissue” injuries and to downplay their significance and severity; however, as anyone who has experienced such an injury can attest, they can be very, very painful, challenging to treat, and debilitating. These “whiplash” or “soft tissue” injuries involve damage to the muscles and ligaments in the neck or back, and can be complicated by nerve damage and/or damage to the discs, vertebrae or other structures in the neck and back. This can result in a variety of symptoms, from mild to moderate to severe, including neck and back pain, headaches, muscle spasms, decreased range of motion (i.e., difficulty turning or tilting your head) and other serious health issues. Based on my experience representing Seattle personal injury clients, I have seen that “whiplash” or “soft tissue” injuries often take some time to develop (from hours to days) and frequently intensify over the first few days after the accident. It is imperative that you recognize the injury and receive prompt and appropriate medical care and treatment for such injuries to maximize your chances for recovery. If your personal injury claim involves significant “whiplash” or “soft tissue” injuries, you will likely experience challenges in trying to settle your claim with the insurance companies, since most insurance adjusters will undervalue your claim. I can help you. For an experienced Seattle area personal injury attorney who can help you through this process, contact me for a free consultation and initial case evaluation. Another category of injuries that sometimes escapes initial detection in a car accident is injuries resulting from head trauma. The injuries can range from mild bumps on the head, concussions or serious brain injuries. Even if someone doesn’t lose consciousness during the collision, it is possible to suffer a head injury in a significant car accident. Make sure to report all of your symptoms, including any headaches, dizziness, changes in your vision, memory loss or any changes in mood or behavior, to your doctors so that a proper diagnosis can be made and to ensure that you receive appropriate treatment. 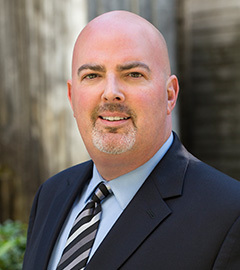 Contact Seattle car accident attorney Chris Thayer today, to ensure you get the legal representation you deserve.